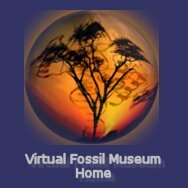 During the Eocene, based on the fossil record, the region was sub-tropical to temporate. Some 60 vertebrate taxa have been described from the formation, as well as abundant invertebrates and plants. Green river has been noted for its well-preserved fish since mid-way through the 19th century. The unusually excellent preservation of the Green River fish fossils is usually attributed to a combination of two factors: 1) a cold period during the Eocene that would have caused dead fish to sink faster due to a less inflated swim bladder; and 2) the great depth of the lakes and the consequent anoxic conditions that would have often prevented scavengers from disturbing the carcasses. Fossil fish eating fish (or aspiration) from the Green River Formation. 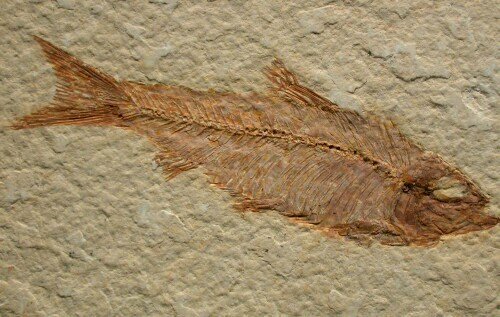 The majority of fish fossils are taken from the Fossil Lake area are from two layers: 1) the so-called 18-inch layer; and 2) the spilt fish layer. The best preserved fish come from the 18-inch layer. Becuase the sediment is highly laminated, the fish can often be removed nearly whole. This layer, in the area near Fossil Butte, does indeed avarage about 18 inches in thickness, and represents some 4000 of deposition. The composition of the limestone indicates that the layer was formed in deep water far from shore. By contrast, the so-called split-fish layer is unlaminated making extraction and preparation of the best fossil fish far more difficult. The layer is about six feet thick, and the fauna indicates water that was better circulated than that associated with the 18-inch layer. Some 19 genera of Eocene fish come from the Green River formation.